In 2009 two staff members from the Archives and Special Collections drove to Rhode Island to pick up thirteen large boxes for deposit in the collection at Amherst. That material became a gift in December 2011. The boxes contained the combined family papers of Samuel Bowles III* -- editor of the Springfield Republican through much of the nineteenth century, friend of the Dickinson family,** and trustee of Amherst College -- and Judge Ebenezer Rockwood Hoar (1816-1895), member of an extraordinary family from Concord, Massachusetts. 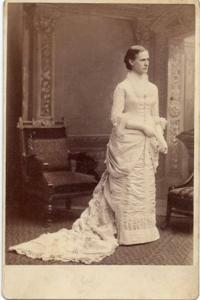 The Bowles and Hoar families are connected through the marriage of Samuel Bowles IV (1851-1915) to Elizabeth Hoar (1854-1924), daughter of Judge Hoar and Caroline Downes Brooks Hoar (1820-1892). The nature of the materials in the papers suggests that we owe a debt to Elizabeth, who seems to have been the "prime gatherer" of materials from her own line as well as that of her husband. The papers contain hundreds of letters from Samuel Bowles III and Judge Hoar to their respective family members and friends, as well as correspondence from family members to each other and to friends. The collection is also rich in correspondence from women in the Bowles and Hoar families, including Mary Bowles (Sam's wife and a recipient of many of Dickinson's letters) and Judge Hoar's wife, Caroline, childhood playmate of the Emerson and Thoreau families, member of the Concord Female Anti-Slavery Society and stepdaughter of the founder and Secretary of the society, Mary Merrick Brooks, who is also represented here. We expect that the papers will be of wide interest, with strengths in Massachusetts political history, Emily Dickinson studies, the history of the Springfield Republican, and women's history, to name a very few topics. 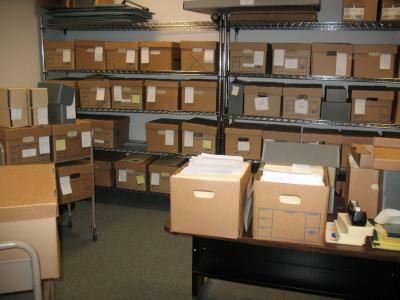 The collection is large -- it expanded to more than fifty boxes -- and will not be fully processed for some time to come. However, from time to time during processing we'll add website pages for especially interesting items. *Although some writers move the Samuels one generation forward, referring to Samuel b. 1826 as the second, the latter thought of himself as the third and we follow his practice. We therefore count ours from Samuel I (1762-1813), with Samuel II (1797-1851; the third of his father's sons to be called Samuel, the only one to survive infancy) being the founder of the Springfield Republican and Samuel III (1826-1878) the editor. Samuel Bowles IV (1851-1915) continued to run the Republican until his death. Samuel V did not work at the paper. Sherman (1890-1952; second son of Samuel IV) was the last of the Bowles family to control the paper. **Correspondence from Emily Dickinson to Samuel Bowles came to the College as an earlier gift in the 1950s from the same family. Jay Leyda arranged for the gift and organized the material, now part of our Emily Dickinson Collection.